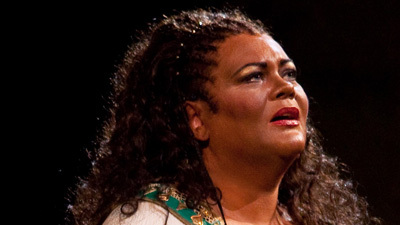 With its cast of hundreds, thrilling score, and sweeping tale of love and heroics in ancient Egypt, Verdi’s Aida has long been a fixture on the stages of every major opera house in the world. For the 2018 revival of Sonja Frisell’s monumental production of this grand masterpiece, the Met assembled a truly all-star cast. 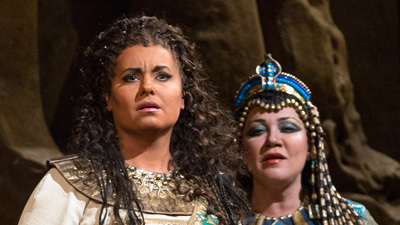 Soprano Anna Netrebko, one of her generation’s most compelling artists, takes on the title role for the first time at the Met, going toe to toe with powerhouse mezzo-soprano Anita Rachvelishvili as her rival, the conniving princess Amneris. 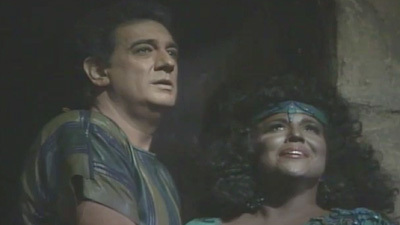 Tenor Aleksandrs Antonenko is Radamès, the warrior that both women love, and Quinn Kelsey lends his robust baritone to Aida’s father, the fallen king Amonasro. Maestro Nicola Luisotti is on the podium to conduct this epic performance, filmed as part of the Met’s series of Live in HD cinema transmissions.